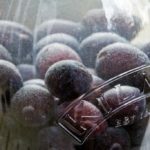 Some of you may know that I made my own sloe gin this year. It all started on a warm September afternoon with a kilo of sloes, a sprinkling of sugar and a litre of fine gin. It’s something I’ve never even attempted before but I thought how hard can it be? Turns out it’s extremely simple. Put it all together and leave the flavours and juices to mingle and infuse for as long as you can wait. The wait is definitely worth it. This sloe gin is only six weeks old and tastes wonderful already. It’s sweet, syrupy, fruity and sublime. It does also of course have plentiful amounts of alcohol in which can’t fail to warm ones cockles. It’s delectable alone, toned down with tonic and opens a door to a new world of cocktails. The hedgerow gin is surprisingly different to the sloe gin. The addition of a few rosehips and blackberries gives this gin extra richness and more flavour in the middle. It’s got added fruitiness without being too much. If this year wasn’t your sloe year (maybe it was your slow year! ), it is definitely worth a try next year. 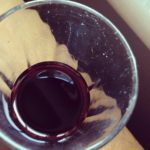 To find out how to use up your leftover sloes see the recipe for sloe port here. I’ve got a few ideas for using your gin (other than drinking it! ): mix up a cocktail or make some adult gummy bears. Yum, fabulous! 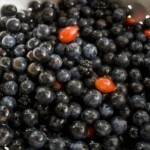 I’m going to have to buy some this year…I was too ‘sloe’ for the sloe season. Ooooh yum! Do you have the recipe for this? Sounds awesome! Love sloe gin. I have made it before, but have a bottle of Gordon’s version in the cupboard which will have to do in the meantime. I’ve only just started bottling last year’s sloe gin – I got so carried away over the last few years that I’ve got a sloe gin backlog. Well, there are worst things in life. I make it the same way each year but oddly the taste is never quite the same. We just had Thanksgiving. I don’t think it is much celebrated over there but I love a nice gin and it would be perfect after a huge meal!!! A friend of mine infusing fine vodkas with different herbs and stuff. I love the idea!!! Ok I’m jealous. I’m drinking a G&T at the mo (being beer 0’clock in Australia) but this seems infinitely more superior. We still have a drizzle left from last years, it truly does improve with age mmmmmm see if you can halve your mixture & pop some away til next year. Such a different gorgeous flavour matures. I love the color in this.